LEAVE YOUR EXCUSES AT THE DOOR! I am here today with who I feel to be one of Britain's rising Bodybuilding Stars... Dave Guest. To look at him, and if you didn't know him, you may feel some what intimidated! He is 5'9, and a big guy! Off season he walks around 19st 7Ibs, and competes around 17st 7Ibs. He is one of the nicest and unasumming guys you will ever meet! Believe me, I have socialsed with Dave,and when he walks into a room, heads turn, but he seems oblivious and uneffected by it all, and this is what makes him the type of guy you would like to meet and have as a friend. Dave is 31, from Bristol, and only started competing in Bodybuilding in 2009. He got the bug for contests years ago when he competed at weightlifting. Starting at the very young age of 14, he was 8 times British Champion between 1994-2002 in the 94kg class. Dave went on to win 2 silver medals in the Commonwealth Games in Manchester in 2002. "I felt I had got as far as I could in the world of weightlifting, I no longer felt challenged, and I had always wanted to give bodybuilding a go! With Weightlifting it was more about regular training and eating more or less anything you wanted, where as with bodybuilding it really is down to eating far more regulary and correctly, and then the training, which is still very important." Off season, Dave tends to eat what he wants, but when in contest preparation he eats every 2 hours, small amounts of carbohydrates and good sources of protein, including Pure Whey Protein Shakes and BCAA's, allowing himself 2 cheat meals a week. I know that he can leave his cheat meals in up to 2 weeks before a competition, he is always very lean and his body eats up cheat meals very quickly! Saying that though, if he feels things aren't looking quite as they should be, he reins it in abit, but Dave is a true believer in the rule that "IF YOU ARE TRAINING HARD, IT SHOULD TAKE CARE OF ITSLEF!" As for his training schedule, this doesn't really change much off season or on season where the weights are concerned, but when in contest preparation Dave liks to break it down to doing about 45 mins of cardio in the morning and then weights are done in the afternoon or evening, training 6 days a week. When I asked Dave what his goals are for 2010 (after doing so well in 2009! - his achievements I will list at the end) he said he is hoping to improve his placings from the ones he had at the 2009 NABBA Britain Finals and 2009 NABBA Universe. Plus he has already been invited to participate at the NABBA Worlds in June in Malta. As I have already mentioned, I know Dave well, I have seen him compete, and in all honestly there isn't much he needs to improve on. He did some guest spots in 2009, one in Coventry for Future Physiques, and another in August for the NABBA Ireland. 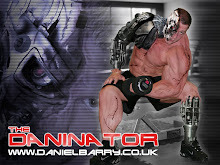 Dave will be guest posing at this years NABBA West Britain in Exter - April 25th! These Guest spots will help Dave improve his stage presence, and given more time and experience, I am sure this will eventually become natural to Dave - and when it does, we will see the true professional I feel he can become. Finally I asked Dave if there was someone who had inspired him in the world of bodybuilding, and given the chance who would he go for a pizza and beer with??? "Dorian Yates." Dave replied. "After all, he is the Britain that has been there and done it all. 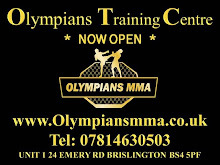 I would like to thank Mike & Julie at Trojan, for all of their support and sponsorship throughout 2009, it has been very much appreciated"
NABBA WEST BRITAIN 2009 - CLASS 2 WINNER, OVERALL WINNER. NABBA PRO AM - PLACED 4TH. NABBA ENGLAND - CLASS 2 WINNER, OVERALL WINNER. NABBA UNIVERSE - CLASS 2, 3RD PLACE. Great work so far Dave, and a big thanks to Gina Ford for letting us have this article... look out for it in a coming BEEF MAGAZINE Soon!! WHO ARE TROJAN NUTRITION? CLICK HERE! WELCOME TO TROJAN'S CHAT ROOM!! HOW TO USE THIS CHATROOM - SIGN UP TO CHATROLL WHERE IT SAYS SIGN UP, EDIT YOUR DETAILS, ADD A PICTURE, AND THATS IT! YOU MUST SIGN UP TO CHATROLL AS WELL AS THIS BLOG. Trojan Launch New Exclusive Supplement Range - CLICK ON PICTURE FOR MORE INFO! Sun 23rd May NABBA North Area, The Borough Hall, Hartlepool. 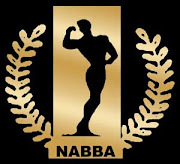 VIEW MORE PICS FROM THIS YEAR'S NABBA WEST BY CLICKING ON THE LOGO! WONDER HOW CAGE FIGHTERS GET RIPPED??? CLICK HERE!